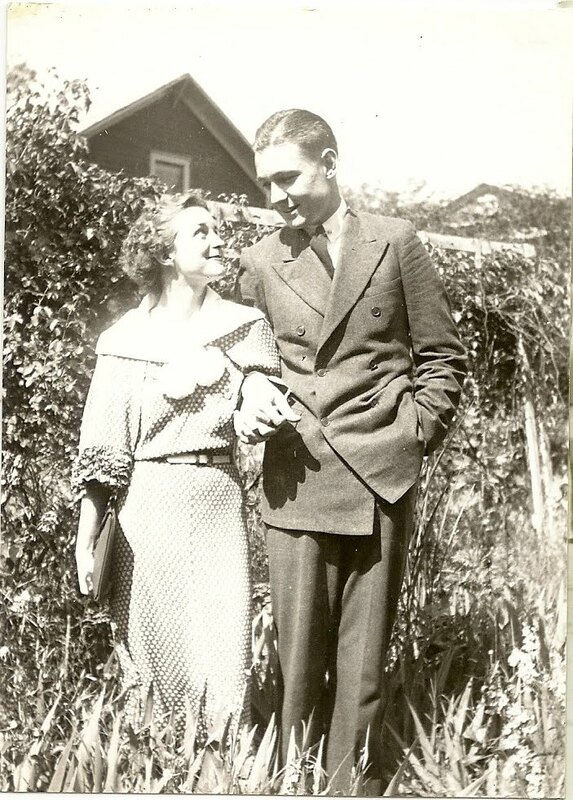 Pictured here shortly before the Winecoff Hotel fire are Reid and Cary Horne. Together they ran a grocery business in Cordele, Georgia. They were frequent visitors to Atlanta. 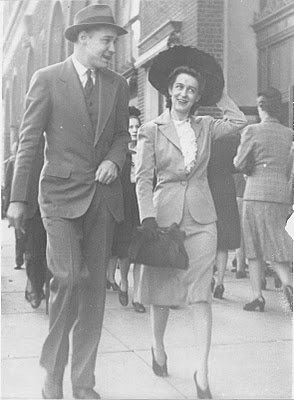 Young and full of life, they enjoyed the excitement of "the big city". This photo shows them walking in front of Davison-Paxon's Department Store, a stone's throw from The Winecoff Hotel and on the same side of Peachtree St. They were in the hotel on December 7, 1946 - room 1606 - on the Peachtree St. side when the fire began. 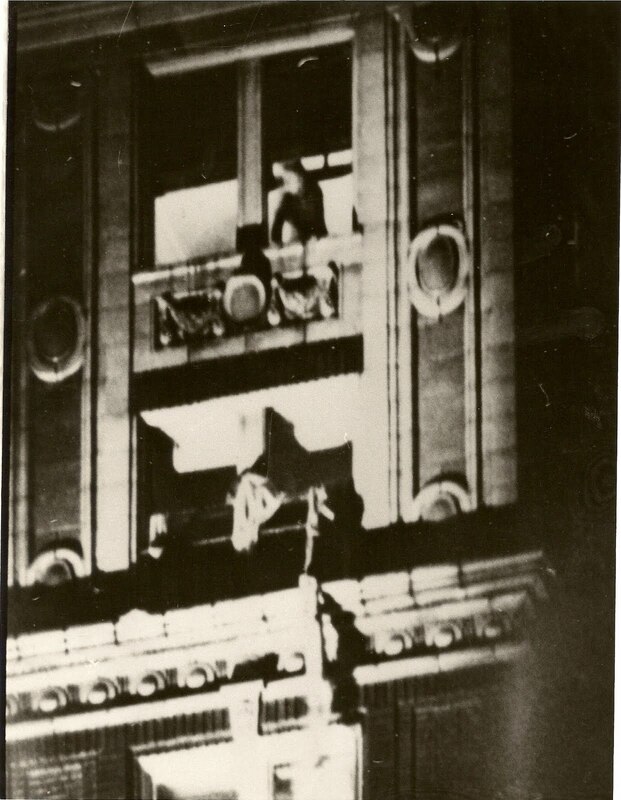 Their struggle to survive included several acts of high drama acrobatics on the outside of the hotel - fifteen stories up. They were forced by smoke to leave through the window of room 1606, down to 1506, then to make a terrifying, sidestepping journey along a tiny ledge at the fifteenth floor and eventually up by sheet rope to room 1612. From there the Hornes' survival strategy had to be revised several times, risks re-assessed. New escape plans were implemented and abandoned as other hotel guests perished all around them. The Hornes' harrowing story is told beginning on page 97 of The Winecoff Fire. Listen to a brief segment of the authors' original 1986 interview with Reid and Cary Horne. Reid tells about the unusual thing he did, standing at the window of room 1612, when all hope for survival seemed lost.